What They Say.....After her mother's suicide, fifteen year-old Lane Roanoke came to live with her grandparents and fireball cousin, Allegra, on their vast estate in rural Kansas. 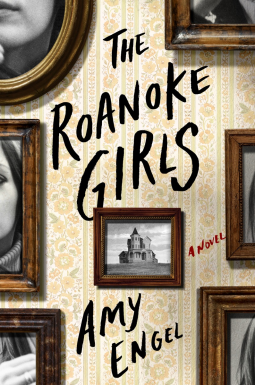 Lane knew little of her mother's mysterious family, but she quickly embraced life as one of the rich and beautiful Roanoke girls. But when she discovered the dark truth at the heart of the family, she ran…fast and far away. What I Say.....WOWZER. This book was full of raw emotion, a slightly gothic tale set in modern day Kansas. The story goes back and forth, from the individual stories of each Roanoke girl that has met a tragic end, or disappeared, then to the summer Lane spent with her grandparents and her wild cousin, Allegra, and then fast forward to today, as Lane returns to the farm to help search for the now missing Allegra. The storyline of this book will not be for everyone. It's pretty gritty and very disturbing. Which makes it hard to review this book without providing spoilers. No one in this story is innocent. Even those who try to do the right thing somehow stumble and get pulled into the ugliness of the Roanoke reality. The Roanoke's are the town royalty, their money helps keep the entire town afloat, so people aren't interested in looking closely at the tragedy that goes hand in hand with being a Roanoke girl. This book will not be for everyone and parts of it were really stomach turning, and Lane is probably the only surviving Roanoke girl because her mother cared enough to run away and stay alive as long as she could. I read it in one day - beause I wanted to find out what happened to Allegra, and I wanted Lane to get away. It was gripping, but disturbing.